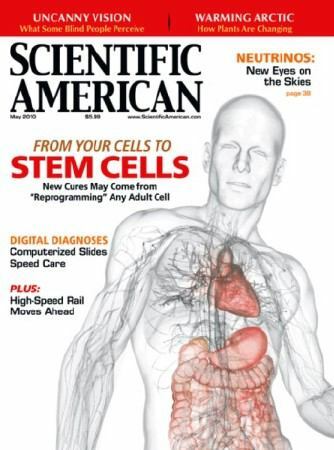 The May issue of the journal Scientific American featured a fascinating article about stem cells and a new development. Can you give us a quick summary? In brief, it described the recent development of a novel type of experimental stem cells referred to as induced Pluripotent Stem Cells, or iPSCs. iPSCs are produced by isolating skin cells –or technically any type of cells and injecting these cells with four specific genes that have been associated with the state of “embryonicness”. The results are cells that behave to some extent like embryonic stem cells (ESCs). It is a development that bypasses the ethical issues linked to the use of ESCs while hopefully tapping into the potential of ESCs. What is different about this approach and does it tie into our understanding of some diseases? The main challenge with ESCs is in fact the necessity to muzzle their excessive capacity of becoming a wide range of cell types and create tumors. This approach is truly an interesting development in stem cell research as it provides a model through which we can study the development of certain diseases. For example, we can create iPSCs with specific genetic defects and then inject these cells in a growing test animal embryo, allowing researchers to observe the development of diseases linked to such faulty genes. This approach will also certainly help further our understanding of stem cells. However, the challenge that is likely to remain for a long time is the safety of such an approach in health care. In order to integrate these genes responsible for the transformation of a simple skin cell into an iPSC, it is necessary to use vectors from retroviruses. Using this technique, we know that we have inserted new genes but we don’t know what else we could have inserted and also where it was inserted. The possible consequences that this can have in human beings will take a long time to determine. How does all this fit into the larger picture of stem cell science? So while we continue into this fascination of wanting to harness the power of Embryonic Stem Cells, without any real application in the foreseeable future, Adult Stem Cells are already today used with great success. Where the article fell short is in positioning this information in a bigger context. A focus is maintained on ESCs to the detriment of the more promising Adult Stem Cells (ASC). The purpose of ESCs are obviously to develop into a fetus and eventually a full organism. No disease requires that level of potentiality, no disease cure requires the power to fully reconstitute a full human being, all we need is the ability to repair existing human tissues and organs. And this is exactly where the promise of Adult Stem Cell science lies. When they reach a tissue or are injected in a tissue, ASCs will only become cells of the tissue in which they find themselves. The main challenge with ESCs is in fact the necessity to muzzle their excessive capacity of becoming a wide range of cell types and create tumors. Is the Scientific American stem cell article limited in scope? In spite of a vast scientific literature demonstrating the full pluripotency of Adult Stem Cells, the article continues to maintain the idea that only embryonic stem cells are pluripotent. Today, ASCs from ones own bone marrow, the blood, the dental pulp, umbilical cord, and the placenta have been shown to have the ability to differentiate into virtually any type of cells. Furthermore, many studies have clearly established that simply stimulating the release of stem cells from the bone marrow and thereby increasing the number of circulating stem cells can lead to significant tissue repair. So while we continue into this fascination of wanting to harness the power of Embryonic Stem Cells, without any real application in the foreseeable future, Adult Stem Cells are already today used with great success. To this day, ASC has been used in a wide variety of protocols that have led to very promising results in cases of diabetes, corneal blindness, MS, heart problems, and stroke, to name a few. About a year ago a woman who suffered from collapsed airways following a severe case of tuberculosis was transplanted a trachea that had been literally reconstructed from her own stem cells. Just four days after transplantation the graft was almost indistinguishable from adjacent normal bronchi. A similar procedure was later repeated in a 10-year old child suffering from a rare condition called Long Segment Tracheal Stenosis, with equal success. Recently in Montreal, Canada, at the University of Montreal Hospital Centre, a patient with severe cardiomyopathy who did not show progress after coronary artery bypass, was injected with his own bone marrow stem cells (ASCs) in the heart. After just a few days the patient was reported to be in “near perfect shape”. Similar results have been obtained since 2009 at the Children's Hospital Boston and other medical institutions. The injection of one’s own stem cells in affected joints has also yielded exceptional results in cases of joint injuries and bone damage. To this day, ASC have been used in a wide variety of protocols that have led to very promising results in cases of diabetes, corneal blindness, MS, heart problems, and stroke, to name a few. So you believe the stem cell article in Scientific American puts the spotlight in the wrong area? Absolutely. While the development of iPSCs and their possible clinical application is truly worth mentioning, it remains disappointing to see in a journal like Scientific American that once more the focus is put on an approach that might lead to clinical applications in a few decades to the detriment of sharing information pertaining to the use of Adult Stem Cells, which could mean benefits for people today. 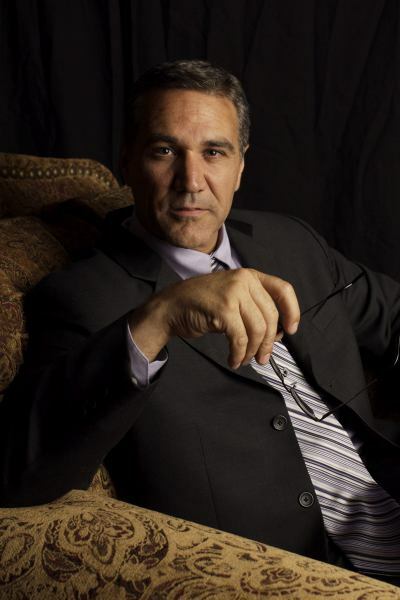 Christian is a leading advocate of and expert in the field of adult stem cell science, traveling more than 100,000 miles each year speaking at medical, scientific, and public events on six continents. He serves as Chief Science Officer of StemTECH HealthSciences in California. Christian Drapeau is the author of Cracking the Stem Cell Code (Sutton Hart Press 2010) and The Stem Cell Theory of Renewal (2009), both of which are available on Amazon and at bookstores everywhere. Health News: Adult Stem Cells: Rx for Ultimate Health?